2509 a.k.a. 2500-2, 2500-3 Multi-Purpose Med. 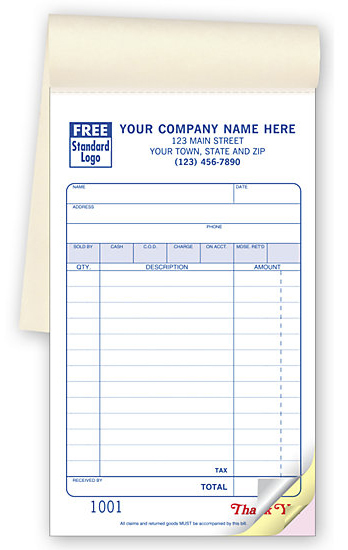 Sales Book Classic Design 4-3/16" x 7"
Size is: 4-3/16" x 7", the 2 and 3 parts are 50 forms per book.